Last year was the first year I truly started taking care of my skin properly purchasing creams and cleansers to add to my "Skincare Routine" that before was very little. 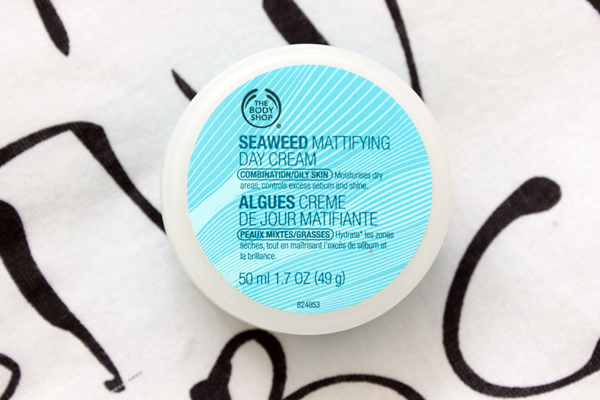 Since having Combination Skin, The Body Shop's Seaweed Range was the perfect solution. 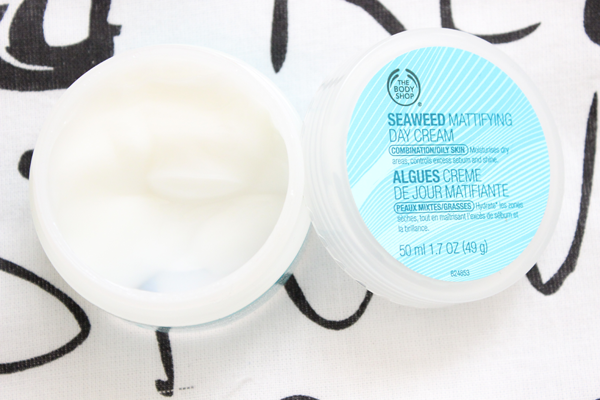 Their Day cream mattifies the skin absorbing the oils and moisturising any dry areas at the same time. Upon application, the first sensation is the clean fresh splash to the face to waken you up in the morning. The consistency of the cream is more of a jelly form than a cream and leaves a silky soft layer on the skin. I have been using this day cream for the past couple of months and haven't found it to have broken me out nor have a reaction which is perfect since my skin is rather sensitive too. I would highly recommend this product to anyone wanting to have a moisturiser with oily to combination skin and to those who suffer with a few blemishes. It soothes the skin and gives it a clean and fresh feel in the morning.